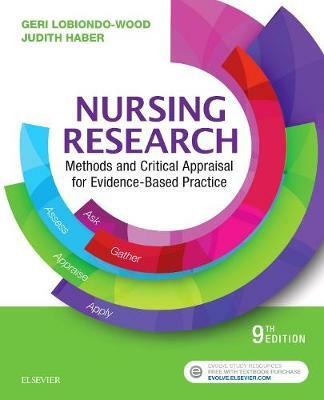 Become better at understanding and applying nursing research to your everyday work with Nursing Research: Methods and Critical Appraisal for Evidence-Based Practice, 9th Edition. Written by an all-star team of educators and research experts, this four-time recipient of the American Journal of Nursing's Book of the Year is the perfect text to help ground you in the processes behind nursing research and evidence-based practice. This new ninth edition has been thoroughly updated and refocused to better match the needs of the nurse who will read and apply research versus the professional researcher herself. This new edition also features: new research examples and vignettes; easy-to-use navigation tools; enhanced readability; expanded information on how to integrate interprofessional education and evidence-based practice; and well-balanced coverage of both qualitative and quantitative research methods. It's a must-have resource for any nurse wanting to take advantage of the nursing research and evidence-based practice currently out there.